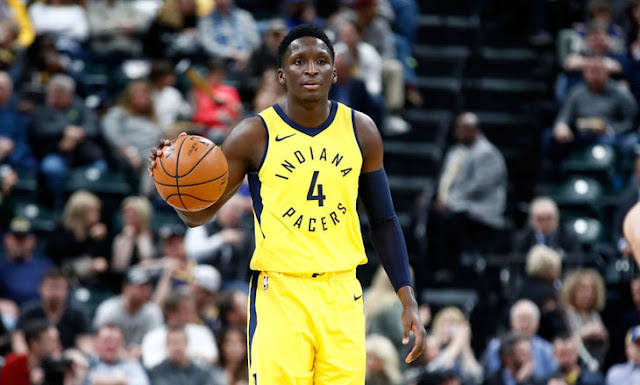 First of all, let's all hope that Victor Oladipo's knee injury last night is less serious than it first appeared, and that it will not be season-ending for him. His season, and that of the Pacers, have been better than anticipated. Should his season come to an end, that should put the Celtics in a better position relative to the Eastern Conference standings and eventual playoff seeding. Indiana currently sits in third place in the Eastern Conference standings with a 32-15 record, and they have won their last three games. Boston is in fifth place with a 30-18 record and a five-game winning streak. If the playoffs began today, the Celtics would take on the Philadelphia 76'ers in the first round, and I doubt the team wants that match-up to kick off their playoff run. Oladipo is Indiana's only star, but they are a talented and deep team. Still, Victor has done so much for them, it is expected that his team may drop in the standings if he is out for a lengthy period. If Boston rises in the standings, they would face a better match-up in the first round with the Likes of Brooklyn, Miami or Charlotte. But right now, best wishes to Victor for a best-scenario diagnosis and a rapid recovery - and then we will see how it all plays out.